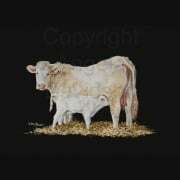 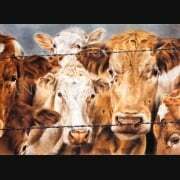 The cattle in this print come courtesy of our farmer neighbour George. 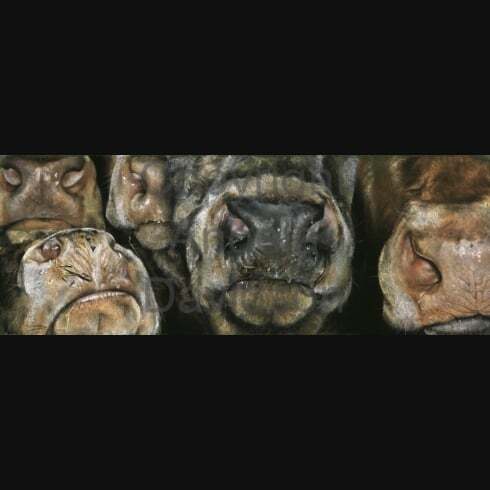 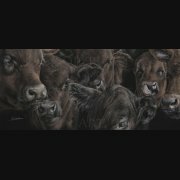 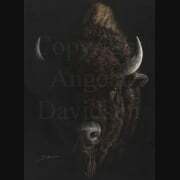 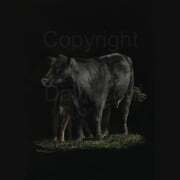 These were George's store cattle one winter a few years ago, and they kindly obliged us with good close-up photos from which Angie was able to create the original artwork of this print. 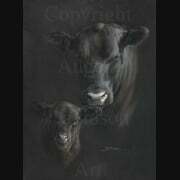 Thank you George (George got a free print; the cattle got a free visit to McDonald's).